In this free course, Steve Christensen (The Ice Cream Bloke) covers the key elements to open and grow a successful ice cream or frozen dessert business: and its not just about ice cream. Your retail location and the way your employees interact with your customers are just as important as the quality of your hot fudge topping. How the Customer reacts to your environment before they even get close to your ice cream. Hopefully, this overview of the industry will give you a better understanding of the fundamental principles that make ice cream and frozen dessert stores successful. There are many factors to business success, however, taking care of the "Big Rocks" can help start you on the road to your own successful ice cream retail location or the growth of your existing business. 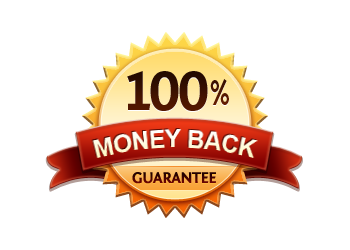 Yes - Even though this course is free - We are still offering a 100% money guarantee as we do on all of our online courses and instruction. If you honestly feel that the content, attachments and supportive material were not beneficial to your yearning for retail ice cream and frozen dessert knowledge, please contact our headmaster's office and we will arrange a refund. That being said, with over 600 retail locations opened, over 1000 students graduated and having spent time with over 10,000 people in the process of frozen dessert education and training, we feel confident this content will move you forward towards your ice cream dreams. Great way to set the stage! I thoroughly enjoyed this first module! Steve's style is very natural and engaging, with just the right amount of humor to go along with the insightful information. His impressive resume adds tremendous credibility to the presentation as well. I look forward to learning more!